How much is Matt Kalil Worth? Matt Kalil net worth: Matt Kalil is an American professional football player who has a net worth of $300 thousand. 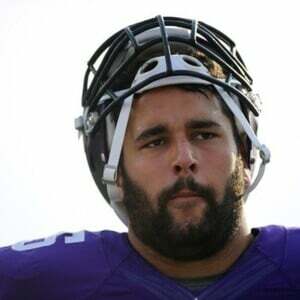 Matt Kalil was born in Corona, California in July 1989. He is an offensive tackle who was a standout and a USA Today High School All-American at Anaheim Servite High School. Kalil played his college football for the University of Southern California where he was a First-team All-American, First-team All-Pac-12, and won the Morris Trophy in 2011. He was drafted #4 by the Minnesota Vikings in the 2012 NFL Draft and has played for the Vikings his entire career. Kalil was named to the Pro Bowl in 2012. His father Frank Kalil played for the Arizona Wranglers and the Houston Gamblers of the USFL and his brother Ryan Kalil plays for the NFL's Carolina Panthers. Matt proposed to his girlfriend Haley O'Brien in 2015. O'Brien was Miss Minnesota-USA in 2014.